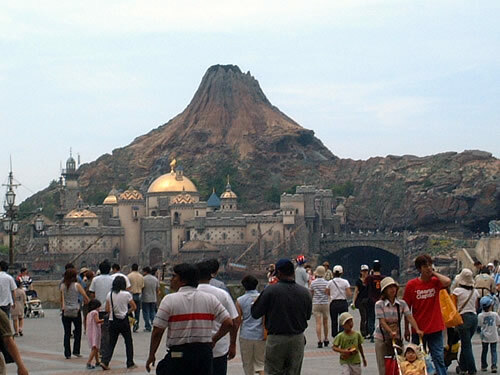 For convenience sake, DisneySea is only a stone's throw away from Disneyland and quite a few strategically placed hotels so the serious Disney aficionado can spend a week going back and forth between the two. I'll say one thing for Disney, no cost is spared in construction and design. Every rock, bush, tree and lamppost was perfectly and purposefully placed. The volcano in the center of the park even erupted every once in a while, belching fire and noise. Thrill-seekers should probably go elsewhere however. The rides here focus more on being appealing to the eye rather than trying to make you scream with adrenaline. 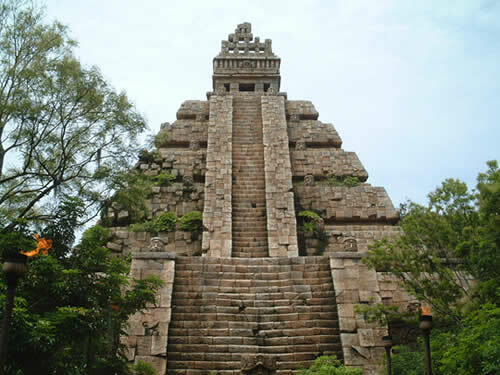 This Mayan-looking temple, part of the Indiana Jones ride I think, was built to make it look like it was already old and crumbling. One ride titled "Center of the Earth" takes you through beautifully designed caverns complete with mysterious subterranean creatures including a moving, life-sized dragon. Only at the very end do you suddenly plummet down a rollercoaster-like drop. As well, a lot of focus is put on 'shows' where various Disney characters sail out on boats amid loud music and dancing, definitely for the very young though. 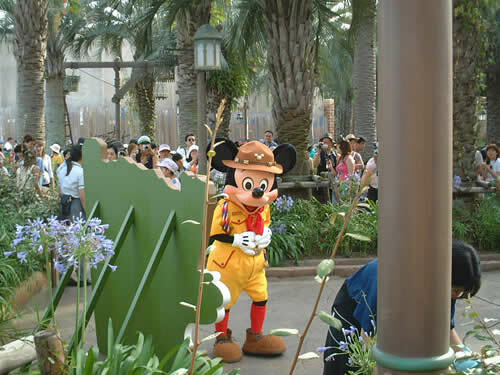 Watching Mickey dance to loud (and bad) music on a boat among thousands of people was not the climax of my day. A major disapointment is the food. You'd think that Disney, having gone to such a supreme effort in their creation, would have some decent restaurants, but such is not the case. Not only that, be prepared to pay twice or three times as much as you would in the real world for their crap. 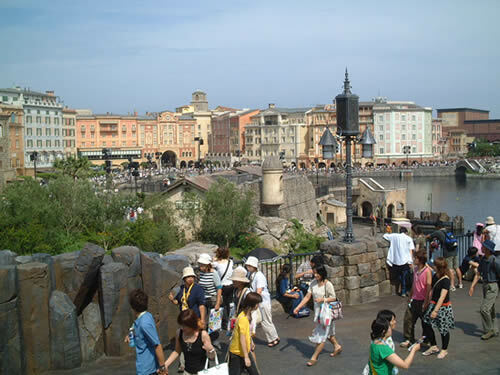 If you're still planning to go, the entrance fee is 5500 yen per person, which equals about $65.00 Canadian. If nothing else, Disney definitely knows how to make money.